Part of planning a fun vacation to another town is what you are going to do. While it can be a tad stressful deciding what to do, and not over booking yourself, one activity that can be fun and relaxing at the same time, is seeing a show. Residents and visitors in Hawley are no exception, we all love seeing a show. 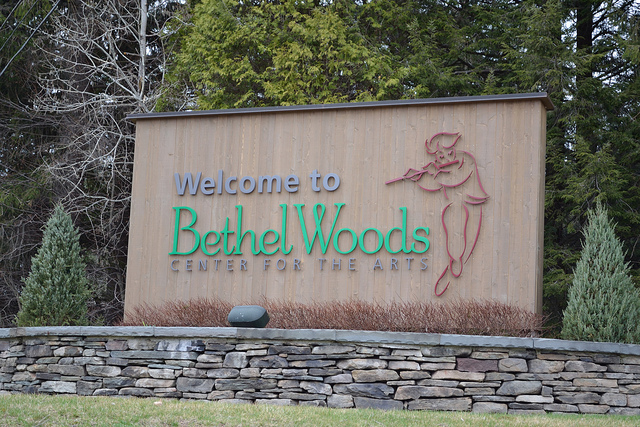 Fortunately for us, we are close to an amazing venue, Bethel Woods Center for the Arts, in Bethel, NY. Their fall 2014 line up is amazing and we at Ledges Hotel want to share with you some of the awesome upcoming events that are being held at Bethel Woods Center for the Arts. Who doesn’t love a Woodstock reunion? Generations have been affected by this amazing music festival. Legends played on stages and the world was never the same. Many may not know that this festival was held on Yasgur’s Farm in Bethel, NY. The Bethel Woods Center for the Arts is spending most of the year celebrating and remembering Woodstock in their Corridor Gallery with photos, memorabilia, and stories from those who have experienced it. Come remember Woodstock with us, available now until December 28th. When you say a picture is worth a 1,000 words, this saying doesn’t ring truer with Bethel Woods Center for the Arts’ exhibition, Speak Truth to Power, a 50 portrait exhibit showing people who have stood up for human rights around the world. These pictures were put together by Eddie Adams, a Pulitzer Prize-winning photojournalist. This exhibit will be available presently until December 31st. On October 16th, Bethel Woods Center for the Arts is proud to bring back Minas-Brazilian Adventure as a part of our World Stage Series. This group loves celebrating Brazilian culture through story and song. One fun thing about this group is they love it when the audience participates too which is fun for kids, and kids at heart. The next night, October 17th, as a part of Bethel Woods Center for the Arts’ Event Gallery Concert Series, John Hiatt will be performing. His music is beloved by many for his alluring lyrics and well-matched melodies. His lyrics tell stories in a range of topics and will leave you reflecting on your life and relationships. With Halloween coming upon us, one thing we all love to do is watch old horror movies. This can also be said at Bethel Woods Center for the Arts. Come join them for their Vintage Horror Film Series on October 24th for their showing of Alfred Hitchcock’s The Birds. This classic tale weaves the story of a romantic triangle and the eventual realization of the strangeness of the behavior of the area birds. Join in after the film for a lively discussion on the film. The Wailers will be visiting Bethel Center for the Arts on December 5th this year. While Bob Marley may be gone, the remnants of him and his band live on in this group. The group has gone on to tour and sell many albums all while keeping to their original reggae roots. Bring the kids to Bethel Woods Center for the Arts on December 6th for a fun showing of The Polar Express. Come early for a pre-movie activity, gingerbread cookie decorating. This is great way to show your family the specialness of the holiday and making memories. To conclude 2014, Bethel Center for the Arts will present Amahl and the Night Visitors on December 14th. This is an opera that will be fun for the whole family. Come early for a pre-opera activity. The story is all about 3 Magi visiting a little boy. While this show is free, be sure to get your tickets. 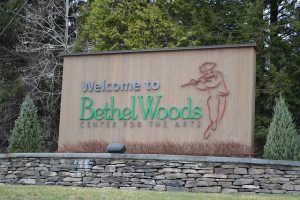 As you can see, there is always something going on at Bethel Woods Center for the Arts. Be sure to check out their site for other series and exhibitions that are going on now and in the new year. When people visit the Pocono Mountains area, they love staying with us at Ledges Hotel. We expertly marry the beautifulness of the outdoor landscape of the area with the modern luxury in our rooms. Contact our staff today to plan a trip to see us at Ledges and a visit to Bethel Woods Center for the Arts.